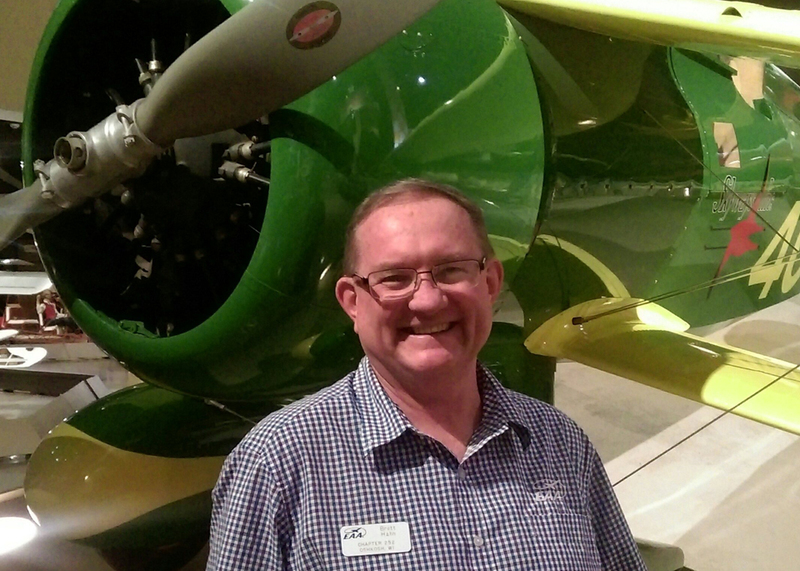 Former President of the Las Cruces, NM EAA Chapter 555 and active FASF member, Brett Hahn (above), has been selected to head up the (International) Chapter Office at the EAA’s Oshkosh headquarters in Wisconsin. “EAA” stands for the Experimental Aircraft Association, which is responsible for the world’s largest annual air show each summer. The show, AirVenture 2015, is held at the EAA’s famous Wittman Regional Airport in Oshkosh, Wisconsin. The EAA held its first airshow at Wittman in 1970 – some 45 years ago. Brett put aside some of his valuable time to counsel the FASF on how to best help achieve its goals and objectives. He served in various Officer positions of the Las Cruces chapter over the years and began his own flying career in 1995 when he learned to fly in New Mexico’s Rocky Mountains. Here is his first official Greeting to the thousands of enthusiastic EAA members across the globe. While all of us who are privileged to know Brett miss his enthusiastic presence here in New Mexico, we are happy that the EAA head office has chosen him to lead its chapter network around the world. While here, Brett was the moving powerhouse promoter of the extraordinarily successful Ford Tri-Motor event held at the Santa Teresa International Jetport just this past Fall. Brett’s skillful promotion of this event broke all the EAA’s prior records for the classic Ford Tri-Motor Tour’s success. This entry was posted in AVIATION NEWS on June 25, 2015 by FASFRIC.